A/Prof Michael Elliott studied Medicine at the University of Adelaide and was awarded Bachelors of Medicine and Surgery (MBBS) in 1996. He completed his internship in Whangarei Hospital in New Zealand before returning to Australia to commence surgical training. In 2000, A/Prof Michael Elliott moved to Sydney with his wife to finish his Basis Surgical Training. In 2003, A/Prof Michael Elliott took leave from clinical services and completed a Masters of Philosophy in the Field of Medical Science (University of Queensland) that was awarded in 2005. 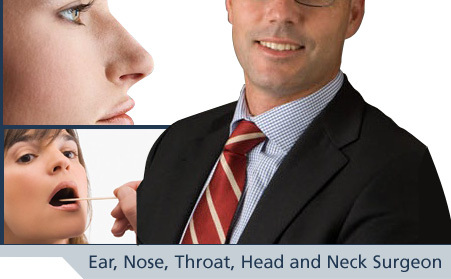 Returning to Sydney, A/Prof Michael Elliott commenced Advanced Training in Otolaryngology, Head and Neck Surgery which he completed in early 2008. Following this A/Prof Michael Elliott traveled to London, where he commenced an intensive 12-month Head and Neck Fellowship at Guys Hospital (3rd largest Head and Neck Unit in the United Kingdom). After completing his fellowship, A/Prof Michael Elliott was appointed as a Visiting Medical Officer at Royal Prince Alfred Hospital Sydney where he works as part of the Sydney Head and Neck Cancer Institute (soon to be incorporated into Lifehouse – The Chris O’Brien Cancer Centre). A/Prof Michael Elliott has previously appeared on the Channel 9 RPA TV Show and Channel 7 Live Well TV Show (see Videos below). A/Prof Michael Elliott has been appointed a Clinical Associate Professor with the University of Sydney and heads translational research activities between the university and the SHNCI and the Chris O'Brien Lifehouse cancer centre. He also is involved in supervising and training Advanced ENT registrars, junior medical staff and medical students. 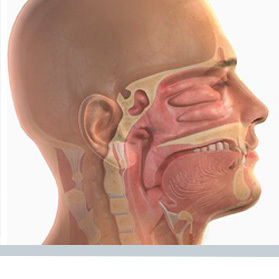 To view a parotid operation (parotidectomy) performed by A/Prof Michael Elliott visit PAROTIDECTOMY. To view a thyroid operation (thyroidectomy) performed by A/Prof Michael Elliott visit THYROIDECTOMY 1 (from 19:00 minutes) and then continued on THYROIDECTOMY 2 (from 00:20 minutes). To view a major head and neck cancer resection for an oral cancer performed by A/Prof Michael Elliott ORAL CANCER and ORAL CANCER (from 03:51 minutes). To view a branchial cyst excision operation performed by A/Prof Michael Elliott visit BRANCHIAL CYST 1 (02:26 minutes) and then continued on BRANCHAIL CYST 2 (from 05:10 minutes). To view a lymph node biopsy operation performed by A/Prof Michael Elliott visit LYMPH NODE BIOPSY (from 19:25 minutes). Sussanah joined the practice in January 2013 and has extensive experience in the roles of Secretary and Practice Manager. Sussanah is extremely experienced, friendly and courteous, and aims to assist patients ensuring an effortless hassle-free experience. © 2010 www.drmichaelelliott.com.au. All rights reserved.